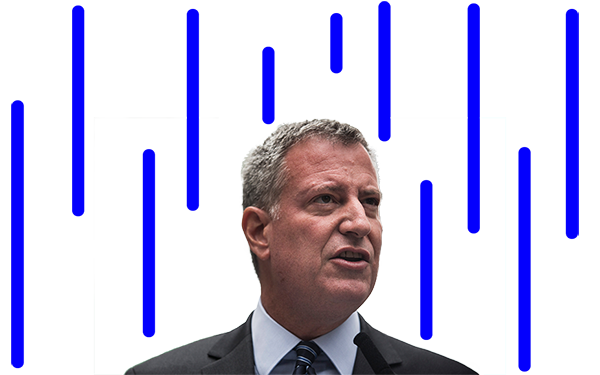 New York City Mayor Bill de Blasio has said that he wants to be, among other things, the “education mayor.” That’s a laudable goal; he has few more important responsibilities than ensuring that every child gets a high-quality education. And his successful implementation of a universal pre-kindergarten program, despite the doubts of critics, shows a commitment to helping kids get a good start. But being the “education mayor” — which entails convincing state lawmakers he deserves extended mayoral control over the city’s schools — may require disagreeing with traditional allies, upsetting entrenched interests and even taking positions that the mayor once opposed. Let’s hope his recent decision to close some failing schools shows that he has learned that lesson. In December, the city’s Department of Education announced that it would shutter three low-performing schools instead of giving them years to improve. With that announcement, de Blasio hinted that he might be heeding critics of his School Renewal Program. The closures are but a small step in the right direction. The three schools, all in Bedford-Stuyvesant, Brooklyn, have fewer than 220 students among them. It may be that they were targeted because of their size, not for poor academic performance. If de Blasio is to ensure a high-quality education for every child, regardless of his or her background, he needs to set aside the Renewal Program, which will leave students in factories of failure for years. Earlier this month, it was reported that graduation rates at 10 low-performing high schools in the Renewal program had either not improved or sunk even further. At August Martin High School in Queens, for example, the rate went from 39.2 percent in 2013-14 to 25.9 percent last year, and at the Bronx Leadership Institute, the rate plummeted from 42 percent to 28.6 percent. These schools and others like them remain open. OK. But shouldn’t schools be expected to perform their essential mission, which is educating school children? And, if they don’t, shouldn’t they be shuttered so that kids can attend better schools? A report released in November by the Research Alliance for New York City Schools, a non-partisan think tank at New York University, shows that Bloomberg was right to close low-performing schools. That policy benefitted the middle-school kids who no longer had to attend them. But there are no magic bullets in the battle for public education reform. No tool works perfectly, no innovation catapults every student onto the path to success. Still, the report from the Research Alliance shows that, generally speaking, students are better off when they are taken out of bad schools and placed in better ones. Makes sense, doesn’t it? By contrast, de Blasio and Farina gives New York City’s failing schools a maximum of three years with extra funding to turn around — a goal that some education experts believe is unattainable. Instead, it simply wastes precious years in the academic lives of the students stuck in them. Closing schools is undoubtedly controversial, even when they haven’t lived up to their mission. Union leaders, principals, and teachers protest. Parents resist. Community activists march and demonstrate. But the essential job of any school is to give its pupils a high-quality education. If it doesn’t do that, it should be closed — immediately — so those kids can attend a better school. If de Blasio wants to be the “education mayor,” he needs to attend to the kids, not the adults. 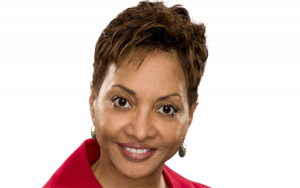 Cynthia Tucker Haynes is a Pulitzer Prize–winning syndicated columnist and a popular radio and television commentator. Her weekly column, which appears in newspapers around the country, focuses on political and cultural issues, including income inequality, social justice, and reform of the public education system.